Business accounts can receive rebates on fuel purchases. Cardholders can take advantage of a 30 cents per gallon introductory fuel credit offer for 60 days of purchases. 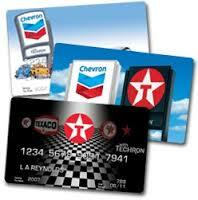 None, unless you choose to enroll in the Chevron Premium Card Membership plan. There is a $25 annual membership fee for this service, but the plan offers special travel related discounts to offset the cost. Contact through online account management center. I have been trying to pay account for two hours. You really need an downloadable app to make it easier. This card is so expensive cause i could only us this card at the chevrons and no where else gas is really high ,i can't us this card like our murphy's card it's a visa i could buy things at walmart pay my phone.Your's just at chevron .